Dr. Rikesh Parikh, M.D. Dr. Philip Young, M.D. "Dr. Young is just a great guy. If you want someone to do a job that when its done, its gonna be done right. That's what Dr. Young does. The quality of his work is just amazing." James S. after a Browlift, Facelift, Necklift & Upper Eyelid Lift. Thanks for spending the time to get to know us! We really appreciate it. 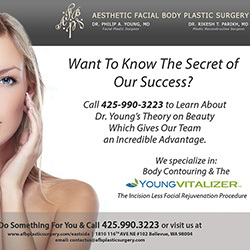 Aesthetic Facial Body Plastic Surgery, Dr. Rikesh Parikh MD and Dr. Philip Young MD are located in Bellevue across the Lake from Seattle, Washington. One of our main goals here is to treat you like one of our closest friends and family (we'll talk more about this below). To help achieve this our priority is understanding your needs and desires. We will sit down with you to hear your story and to find out the little things that will help us get the best results for you. Related to this goal, one of our top priorities is our drive to achieve the most natural results available. This aspiration has lead Dr. Young on a quest to refine our understanding of Beauty. Dr. Young has received the Sir Harold Delf Gillies Award from the American Academy of Facial Plastic and Reconstructive Surgery for this New Theory on Beauty. The knowledge from this Beauty Theory gives our office and team members an incredible advantage in getting the best results for You! 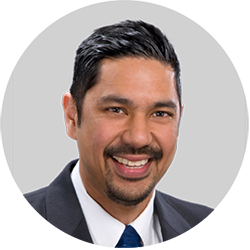 Click these links to learn more about Dr. Philip Young or Dr. Rikesh Parikh. Click here also to Learn More about Our Beauty Theory Advantage. It is our goal to take care of you just like you were one of our Own Family or one of our Closest Friends. Our team believes in this. It has been said that the two basic emotions in life are Love and Fear. All other emotions are a subset of these two. We believe in Love and we want to spread this to you as well. It is the only way. We will do our best to do this with our most basic Intent and the capabilities given to us to perform Plastic Surgery. Please remind us any time if we are not doing our best for you and each of us will spur one another to achieve this. 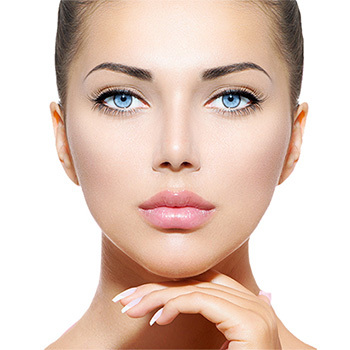 Also find out more why people from around the world have come to have procedures with us including Syria, Dubai, China, Korea, Japan, Australia, England, Canada, Italy, the Netherlands and Singapore here: Top Ten Reasons to Choose Aesthetic Facial Body Plastic Surgery. He is an award winning published author with an exciting new theory on facial beauty. Double Board Certified by the American Board of Plastic Surgery and the American Board Surgery. 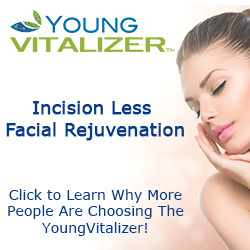 Trained at the Prestigious Vanderbilt University in Plastic and Reconstructive Surgery. 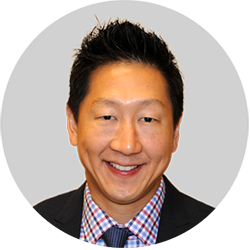 His training also includes time spent at the Famous Cleveland Clinic Foundation and State University of New York. He has received numerous awards during his training including the Arnold P Gold Foundation for Humanism and Excellence. 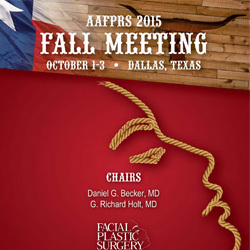 © 2015 Aesthetic Facial Body Plastic Surgery. All rights reserved. Images do not constitute a promise or representation of any particular outcome or experience.